One of the best parts of making stock instruments to my own specs is that I get to choose woods that might be over looked by customers. These cherry back and sides are a great example of a figured hardwood that is readily available, looks beautiful and sounds great. 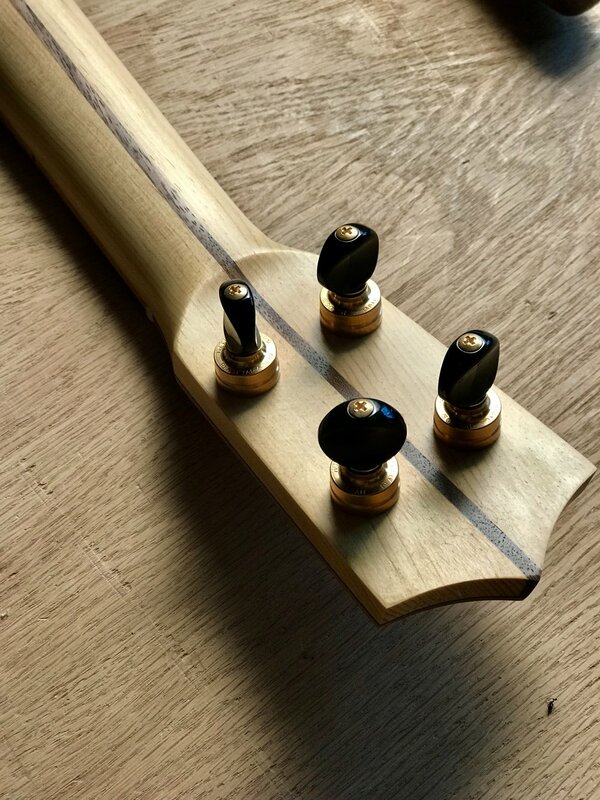 Also, I could pick some “orphaned” slices of spruce for the top and a fretboard that needed a bit of extra work because of a natural bark inclusion. 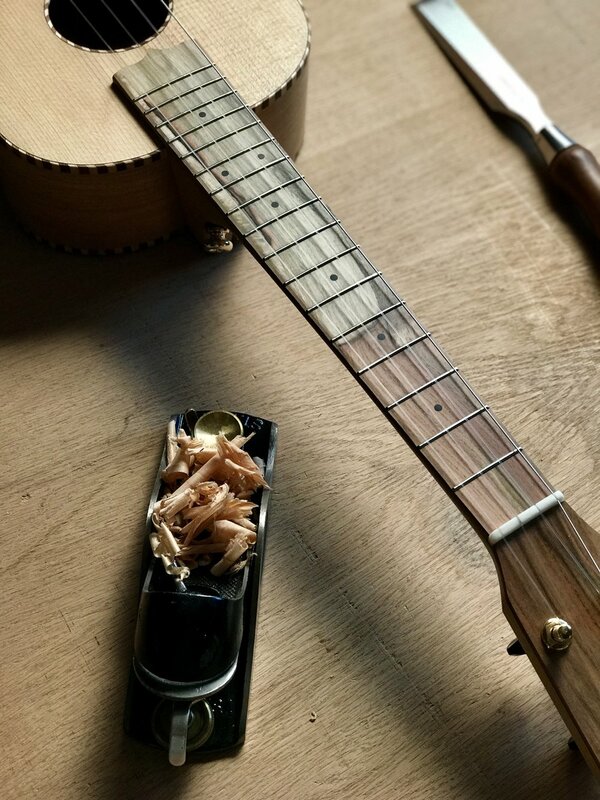 This one looks unique, sounds fantastic and fits within my ecological/economic values for wood use. Win. The spruce is old growth Sitka that my friend Steve got me from a dulcimer builder. The neck is Hemlock from a salvaged floor joist, the cherry back and sides are from Char from Mya-Moe and the pistachio is from California Orchards.